His talent for tennis is beyond question, but now Roger Federer is getting set to try out his parenting skills for the first time. The former world number one and his partner, Miroslava (Mirka) Vavrinec, have announced they are expecting a baby in the summer. Federer communicated his joy about his impending fatherhood to fans on his website. "We are so happy to be starting a family together. 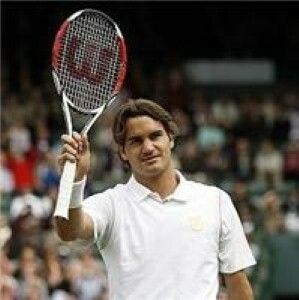 This is a dream come true for us," Federer wrote. "We love children and we are looking forward to being parents for the first time. Mirka is feeling great and everything is going well." The tennis star and Vavrinec, who also once played the sport professionally, met at the Sydney Olympics in 2000. Federer’s announcement comes after another one of the world’s best athletes, Tiger Woods, recently became a father for the second time. Charlie Axel was born to Woods and his wife Elin Nordegren on February 8. The two are already parents to daughter Sam Alexis.